Yesterday was quite the day for Team Canada! FOUR medals, plus a berth to the semi-final round for the Men’s Hockey Team. It was a great day! Anyways, to continue with our Olympic/Two Year Blog Anniversary giveaway, we have two 1Password 3 promo codes up for grabs! The Agile Team has once again graciously donated two full licenses of their amazing software, 1Password 3. With the ever-growing list of website logins (email, social media, forums, work, travel, etc) it’s pretty much impossible to keep track of them all. That is unless you have an easy to use password manager that is safe and offers so much more. With 1Password 3, you create a secure master password. This master password will unlock the vault where your other passwords are stored. Trust me, it’s the best piece of software I have on my Mac, hands down. There are plugins for all major web browsers (Chrome is coming soon) so you can login to any site with just a click of a button. No more form filling, and having to reset your password. There’s also a free 1Password iPhone app that lets you sync your database to your iPhone. So all your passwords will be with you at all times. I can’t stress how much easier 1Password has made computing online. It’s an essential piece of software to have. 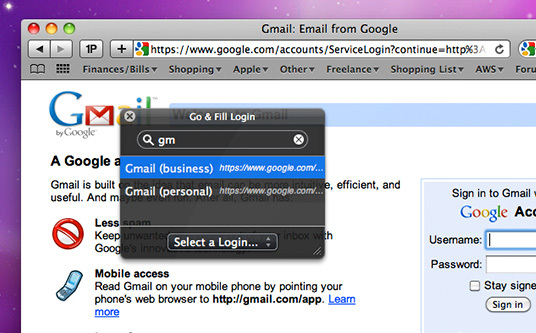 Click here to visit 1Password on the web. Read our 1Password 3 Review. 2. Contest ends on February 25th, 2010 at 11:59PM. 3. One entry per person please. Good luck! Bonus Giveaway: Three Promo Codes for the Game Rafter! The iPhone devs Punflay have decided to throw in three free promo codes for their game, Rafter! The first three people to comment below with the phrase “I <3 iPhoneinCanada.ca” will win the codes (you’ll also be automatically entered into the 1Password giveaway)! Thanks guys! Click here to check out Rafter! Congrats to the following people who won a $50 gift certificate from OtterBox! Please use the Contact page and send me your mailing address!